I’m on the road in Charleston and just had spectacular dinner at the highly-acclaimed FIG restaurant. While the food and service live up to the amazing reviews, the cocktail menu is equally inspired. 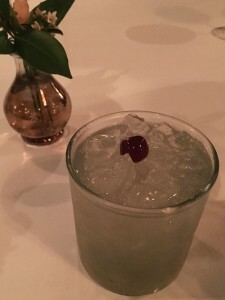 The current menu pays homage to David Bowie and as a fan of the Thin White Duke and tequila, I could not pass up this refreshing citrus creation by FIG’s Nikki Anhalt. To my friends in Pennsylvania, the state owned liquor stores may require that you make a few substitutions but if you can find all of the original ingredients, it will be worth the effort – it may just be easier and more enjoyable to jet down to Charleston and have Nikki or talented bartender Andrew King mix up a Life on Mars. Fill a shaker with ice and pour in Tequila, Maraschino Liqueur, Crème de Violette, Pamplemousse Rose and Fresh Juices. Cover and shake. Strain as you pour into a rocks glass filled with crushed ice. Top with a gourmet Maraschino Cherry. Oh man! 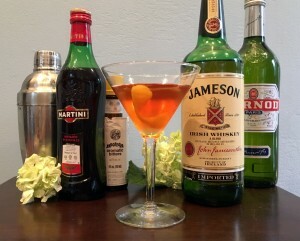 You’ll have a happy Saint Patrick’s Day with this sophisticated take on an Irish Whiskey Manhattan. A dash of Pernod adds a hint of anise to spice up the smooth Irish Whiskey. 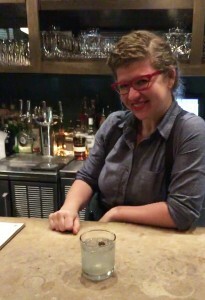 Fill a shaker with ice and add Whiskey, Vermouth, Bitters and Pernod. Shake well. Strain as you pour into a chilled glass. Garnish with a Lemon Twist. Remember to Like my page https://www.facebook.com/LiHalpernEvents, Comment on or Share my Cocktail of the Week to keep the Cocktail of the Week coming to your newsfeed. Many of you know I’m from Chicago where the river and beer taps run green and everyone is Irish this time of year. If you are looking for an Irish libation, this pink drink is a great alternative for your Saint Patrick’s Day celebration! Fill a shaker with ice and add Bushmills Black Bush or your favorite Irish Whiskey, Grenadine and Lemon Juice. Shake well and strain as you pour into a chilled glass. Top with Club Soda and garnish with a Lemon Twist. About Grenadine. The cocktail ingredient (not the liquor) is sweetened pomegranate juice and can be found at major grocery stores. To make your own, pour two cups of Pomegranate juice in a small pot on the stove, bring to a boil. Once boiling turn down the stove and simmer the juice until reduced in half. Add one cup of sugar and stir until the sugar is completely dissolved. Homemade Grenadine should last for two to three weeks refrigerated in an air tight container. A delicious reason to break out my favorite copper mugs! While specialty barware is not required, you will want to celebrate this southern sipper! 2oz Maker’s Mark or your favorite Kentucky Bourbon. You can make this drink right in your mug but to meld the Mint and Lime flavors, I prefer to mix in a shaker. Place one sprig of Mint in a cocktail shaker and muddle with a muddler or the back of a spoon crushing the leaves to extract flavor. Roll the Lime on your counter applying pressure to help break the juice capsules inside. Slice the Lime in half through the middle. Squeeze ½ of the Lime over the crushed Mint then drop it into your shaker. Add enough ice to the shaker to fill your glass and top with Maker’s Mark or your choice of Bourbon. Cover and shake hard. The ice will help macerate the Lime and Mint further enhancing the flavor. 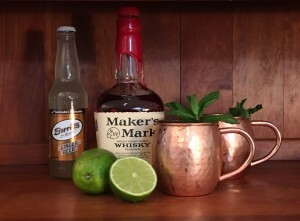 Pour everything into a copper mug or a chilled glass, top with Ginger Beer, garnish with Mint. Sip and enjoy! What’s ginger beer? Ginger Beer is a fermented beverage made from ginger. Ginger Beer has a deeper flavor, cloudier appearance and frothier pour compared to its sweeter, bubblier carbonated cousin ginger ale. Citrus Tip: When using lemons, lime or other citrus juice in cocktails or cooking, try microwaving your fruit for 20 – 30 seconds before slicing to aid in bursting the juice capsules inside. 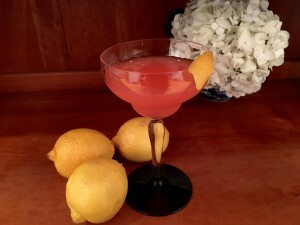 It is Oscar Sunday and if you are looking for a sophisticated specialty cocktail to brighten your party try a Jasmine Cocktail. This twist on a Negroni blends the earthiness of Campari with smooth citrus Cointreau and Lemon for a snappy sip. Fill a cocktail shaker with ice, add Gin, Lemon Juice Cointreau, Campari. Shake well then strain as your pour into a chilled martini glass or coupe. Garnish with a Lemon Twist. 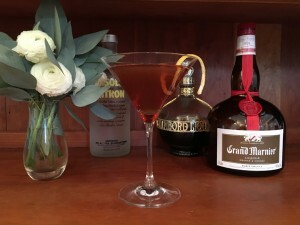 An unseasonably warm weekend deserves a drink reminiscent of good weather and great times. 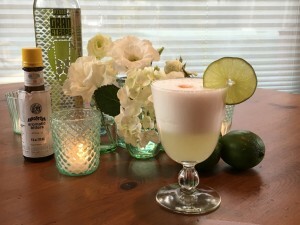 This delicious cocktail is adapted from a recipe shared by my Peruvian sister-in-law Yani. You won’t be disappointed – her side of the family knows how to make a tasty celebration! In a blender, combine Lime Juice with the Egg White and blend until lightly frothy. Add Simple Syrup, Pisco, and Ice and blend at high speed until ice is crushed and the drink is fully frothy. Pour into a glass, top with drops of Angostura Bitters, Garnish with a Lime wheel – enjoy! *Simple Syrup is really simple. Just put 1 cup of sugar and 1 cup of water in a small saucepan and bring to a boil. Turn down to a simmer for a few minutes to dissolve all the sugar. Store in a tightly closed glass jar in the refrigerator for up to 4 weeks. Director : Jennifer Yuh Nelson. Cast : Amandla Stenberg, Harris Dickinson, Patrick Gibson, Skylan Brooks, Mandy Moore, Miya Cech, Gwendoline Christie, Mark O’Brien, Wallace Langham, Golden Brooks, Sammi Rotibi. Genre : Science Fiction, Thriller. ‘The Darkest Minds’ is a movie genre Science Fiction, was released in August 2, 2018. Jennifer Yuh Nelson was directed this movie and starring by Amandla Stenberg. This movie tell story about After a disease kills 98% of America’s children, the surviving 2% develop superpowers and are placed in internment camps. A 16-year-old girl escapes her camp and joins a group of other teens on the run from the government. Watch The Darkest Minds 2018 Online 123movies, Watch The Darkest Minds 2018 Online 123movie, watch film The Darkest Minds now, watch movie The Darkest Minds 2018 now, Watch The Darkest Minds 2018 Online Free Viooz, Watch The Darkest Minds 2018 Online Megashare, watch full film The Darkest Minds 2018 online, download film The Darkest Minds, Watch The Darkest Minds 2018 Online Viooz, Watch The Darkest Minds 2018 Online Free 123movie, live streaming movie The Darkest Minds online, The Darkest Minds 2018 live streaming film online, Streaming The Darkest Minds 2018 For Free Online, streaming The Darkest Minds 2018, download full film The Darkest Minds, Streaming The Darkest Minds 2018 Online Free Megashare, watch full The Darkest Minds 2018 film, Watch The Darkest Minds 2018 Online Free megashare, download film The Darkest Minds now, film The Darkest Minds online streaming, Watch The Darkest Minds 2018 Online Free, Watch The Darkest Minds 2018 Online Putlocker, The Darkest Minds film, download movie The Darkest Minds, The Darkest Minds 2018 movie trailer, The Darkest Minds live streaming film, Watch The Darkest Minds 2018 For Free online, watch full movie The Darkest Minds 2018 online, The Darkest Minds 2018 Watch Online, download The Darkest Minds 2018 movie, Watch The Darkest Minds 2018 Online Free hulu, watch The Darkest Minds movie now, The Darkest Minds 2018 streaming, The Darkest Minds movie streaming, Watch The Darkest Minds 2018 Online Free netflix, watch full The Darkest Minds movie online, Watch The Darkest Minds 2018 Online Free Putlocker. Valentine’s Day is just around the corner and nothing says “I love you” like girl scout cookies! 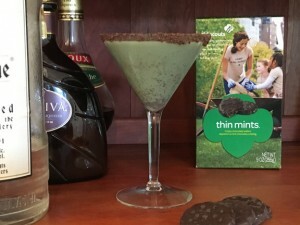 So buy a box or two of your favorites and then toast to the women of Girl Scouts as you sip this minty martini! For over 100 years Girl Scouts have been building girls with courage, confidence, and character, who make the world a better place. There is much more to Girl Scouts than cookies! But when you see cookie sellers this season, buy generously, enjoy the cookies and know you are contributing to our future. Can’t find Girl Scout cookies? Send me a message and I hook you up with cookie sellers. Don’t get me wrong, we love all kinds of flowers but it is fun to get creative or mix in flowers with other decor. 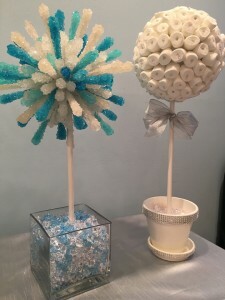 Check out some of our sweet celebration decorations. Remember have fun — it’s a party! Getting ready for Valentine’s Day? 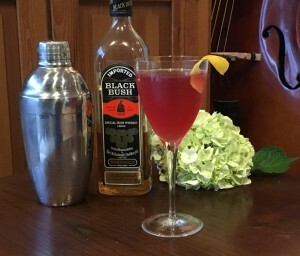 This sparkling cocktail will put your and your special someone in the mood for love! Fill a cocktail shaker with ice, add Absolut Citron, Chambord, Grand Marnier. Shake well then strain as your pour into a chilled martini glass or coupe. Top with Dry Sparkling Wine and garnish with a Lemon Twist.